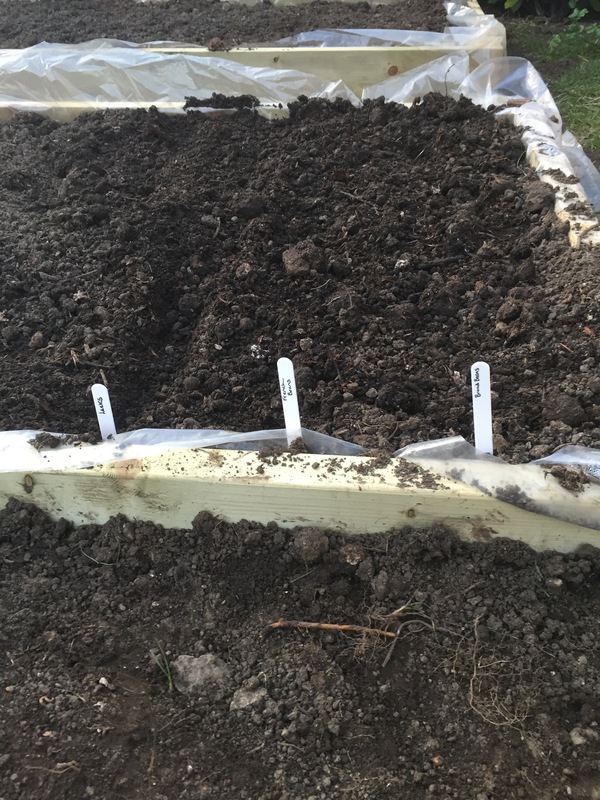 How to make raised beds for veggies and what to plant each month. 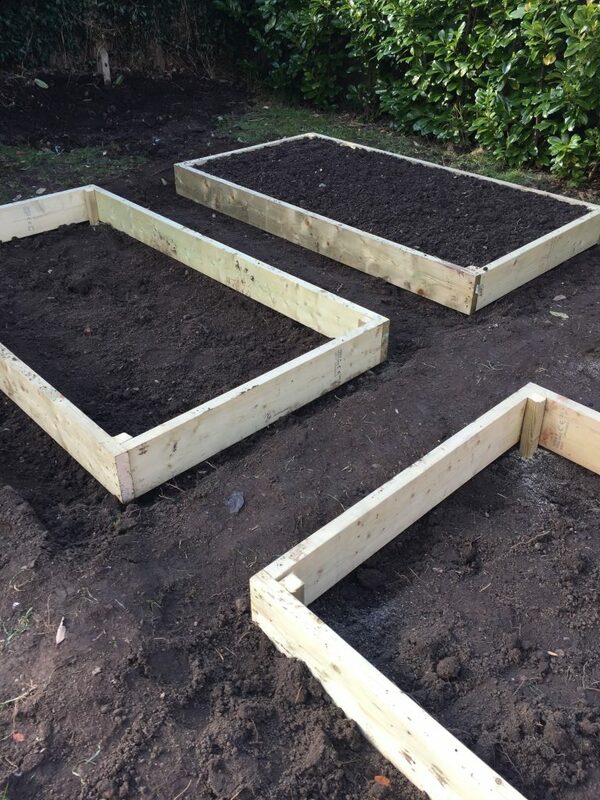 How to make raised beds for veggies. Also a guide to what to plant each month. Can you feel the heavy doses of spring in the air? The birds have been waking us up each morning and new life just seems to be everywhere, making me desperate to get out in the garden and plant stuff, despite not being very good at gardening!! 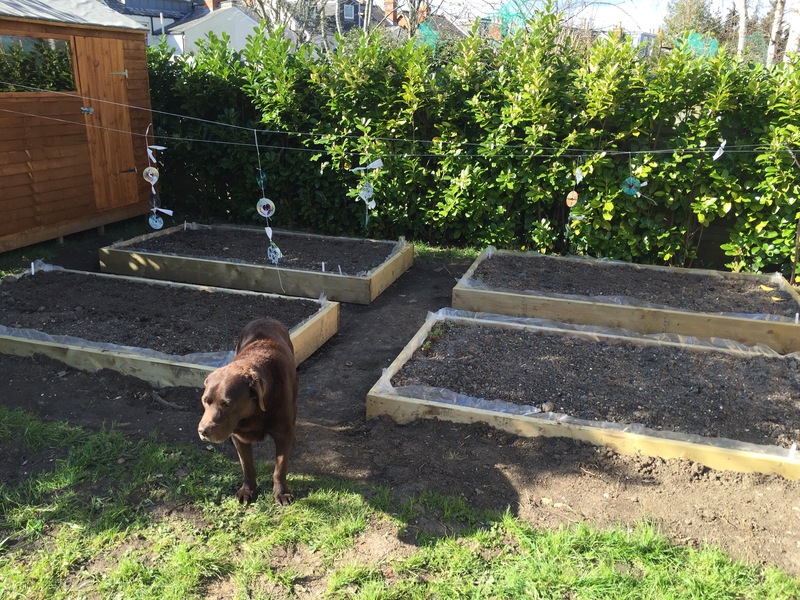 Last year we tried a bit of a garden redesign, including making some raised beds for a veg patch. I thought I would show you how we did it, and also try and start a bit of a mini series about what to plant each month. Mainly to help me remember as I am forever missing the planting ‘deadline’ for our veggies! 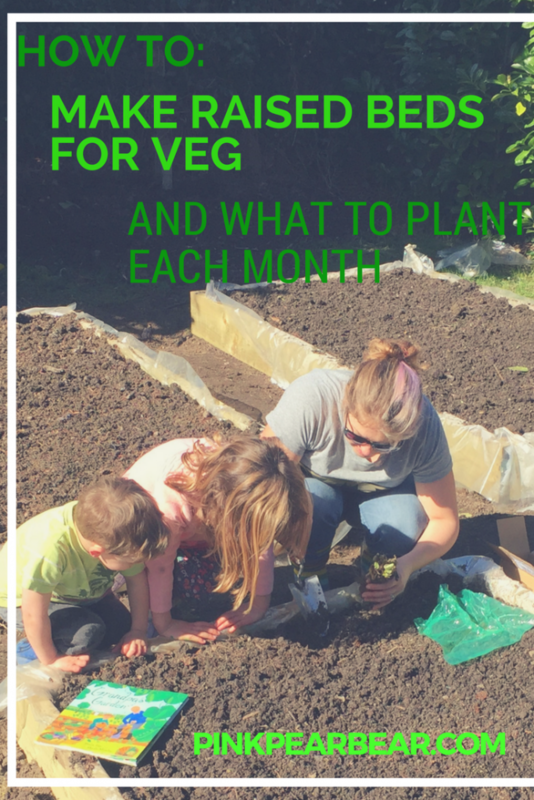 Growing your own veg can be frustrating sometimes, but also very rewarding, fun for the kids and saves you money. 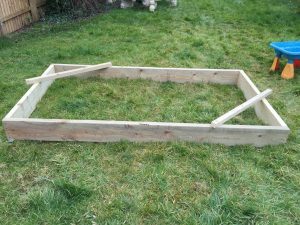 Step 1: Make a frame out of 6×2 timber. My very talented hubby is a carpenter and made these gorgeous raised beds from scratch, so I thought I would share how he did it. It isn’t anything really complicated though, so anyone with basic equipment and a few DIY skills should be ok! He already had the necessary tools, but there was nothing he used that was out of the ordinary, tape measure, a cordless drill, screwdriver, saw, shovel, sledge hammer and his ever important spirit level! 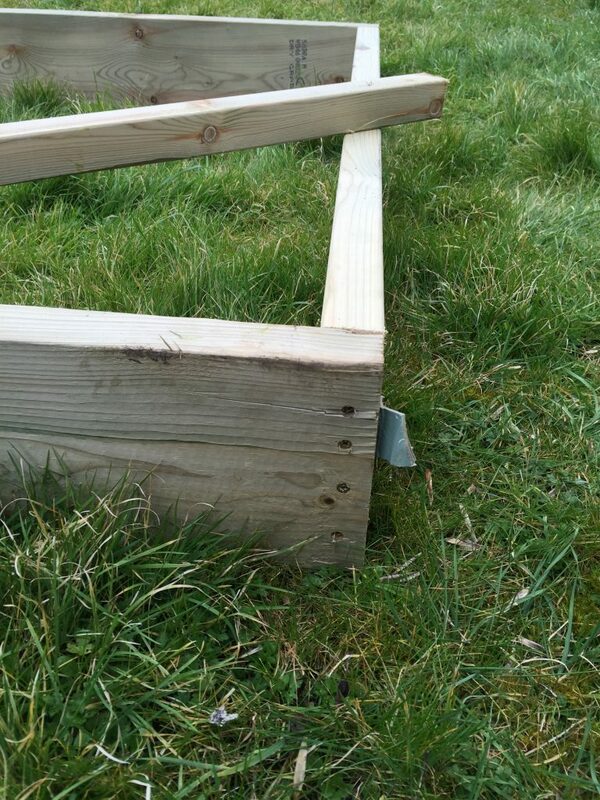 2×2 stakes, 6×2 untreated timber lengths, 3/4in screws, extra 2X2 stakes to screw to corners to hold shape. Step 1: Remove turf from the area you want the beds. Use the 2×2 to hold the frame’s shape and give you something to move them with. Step 2: Make the frames for your beds out of the 6×2 timbers, we chose rectangles, then screw some of the 2×2 stakes diagonally across to hold the shape and to help move them. Step 4: Once in, dig down a spade depth, turn over soil, remove big stones and lumps, add layer of top soil mixed with mushroom compost. 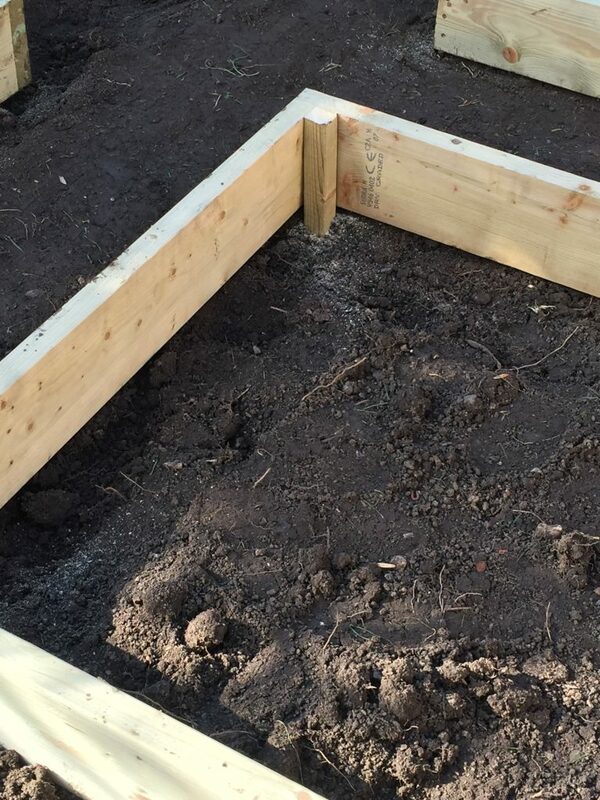 So that is how to make raised beds, now you just need to plan what to plant in them! It might take you a while to work out what works well in your soil and what doesn’t but hopefully you’ll have fun trying! If you fancy something a little simpler, how about homemade fairy gardens! We made bird scarers from old cds. You can also plant out chitted potatoes now. I always want to do something like this but am too nervous! ! This is quite inspiring though, thanks. I’d love to try this, our soil is pretty rubbish but I guess having a raised bed means you don’t have to use the soil already in the garden? I’d love to grow my own vegetables. I’ve pinned this on my garden board, see if the hubby fancies making some for me. I wish I didn’t kill everything I try to grow. 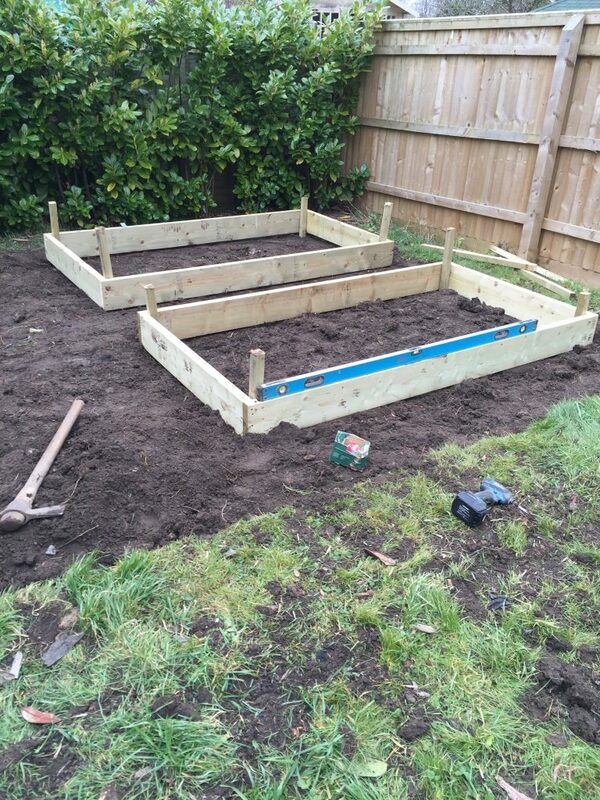 I have always wanted raised vegetable beds but I know theres no point! I just purchased a house plant to try and reverse this streak. Ooh this is a useful post! We may do raised beds when we finally get around to sorting out our extra bit of garden. I’ve started some indoor plants on the radiator but everything was a bit too wet outside for me to dig it just yet. I’m leaving it a couple of weeks! My hubs built a sandbox for the big girls when we first moved to our home and now the twins use it. The MINUTE they give it up that thing is becoming a raised veggie bed! That planting list is really handy. Those look great. My kids would love those. 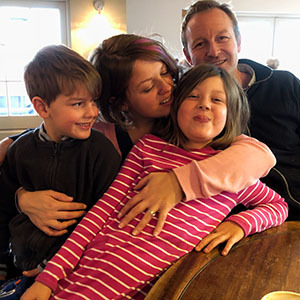 I can’t wait to see how you get on … hopefully we’ll get monthly updates? Wow! 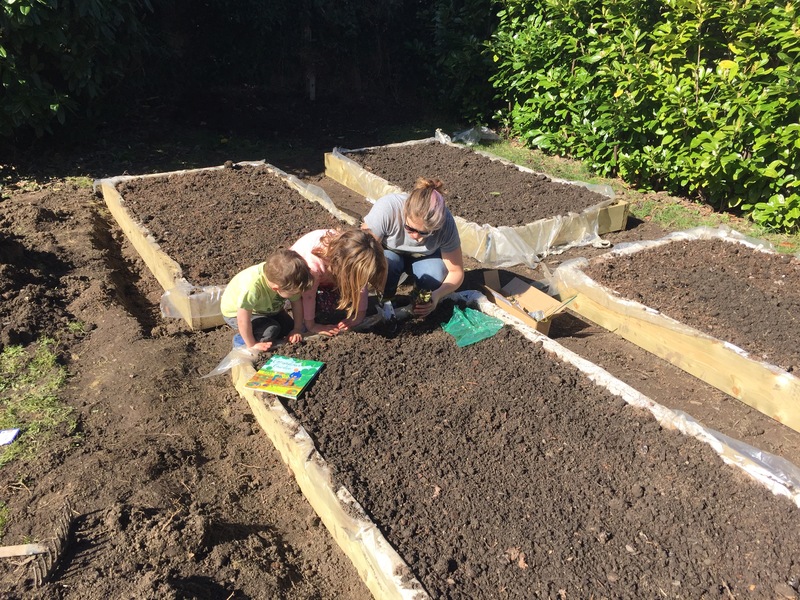 Gardening is a great activity to get the kids involved. Besides, there’s something about working with your hands – soiled and dirty that’s both therapeutic and satisfying! Thanks for sharing!